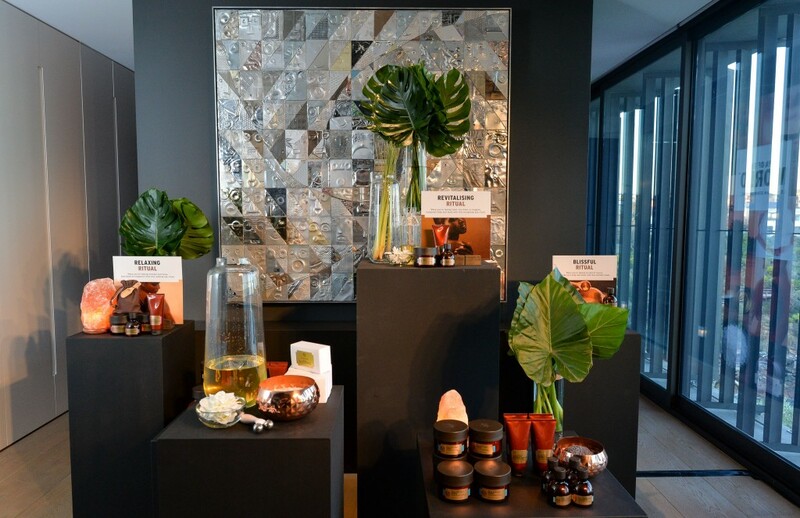 The Body Shop launched a revolutionary range of products at a glamorous launch in Gordon Bay last Thursday night. 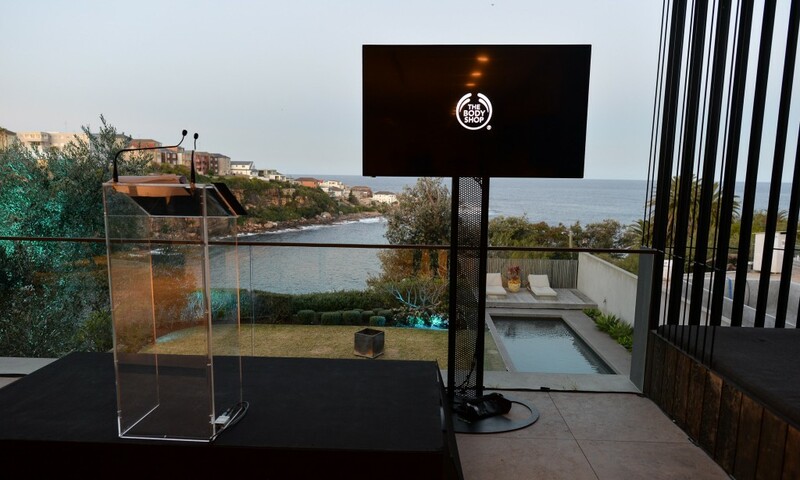 VIP guests and media were invited to the beautiful private residence overlooking the bay for a unique beauty experience with the launch of three new ranges, Oils of Life, Spa of the World and Voyage Fragrance collection. The ranges represent a innovative step forward for the Body Shop in terms of ingredients and formulations. It continues the company’s ethos on natural products that are ethically made. 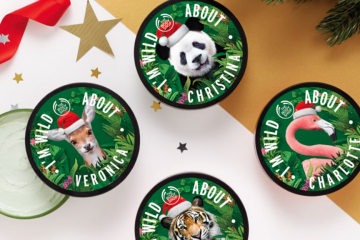 The Body Shop’s new ranges take the very best from across the globe and all ingredients are fair-trade. Oils of Life is the new daily life-infusing skincare range to revitalise skin, replenish nutrition, revive radiance and visibly reduce signs of ageing. The Body Shop has recognised the power in seed oils which every product in this potent range contains an expert blend of three exceptional seed oils, known for their supreme abilities to repair and revitalise skin. Spa of the World offers offers everything you need in a spa experience – escapism, relaxation, revitalisation, and pure bliss. You can turn your bathroom into your very own ‘spathroom’, filled with professional quality products, in modern sophisticated packaging, and pamper yourself daily with luxurious ingredients and tantalising fragrances that will instantly transport your senses to far-flung lands. The Voyage collection is an exciting and updated fragrance collection that is on trend, feminine and desirable. The beautiful, redesigned multifaceted glass bottles signify time zones across the globe, and each box incorporates a traditional design from its region which have been given a fresh, modern spin reflecting our international style. Created by some of the world’s top perfumers, each fragrance is based around an authentic, traditional ingredient from some of the world’s most beautiful places. They have searched the globe for the finest natural ingredients and harvested them at their most fragrant moments, to heighten your senses. The Voyage collection includes the new Italian Fig scent that celebrates the Italian summer. Guests at the launch, were treated to a multitude of different sensory experiences in different rooms of the Sensorium. 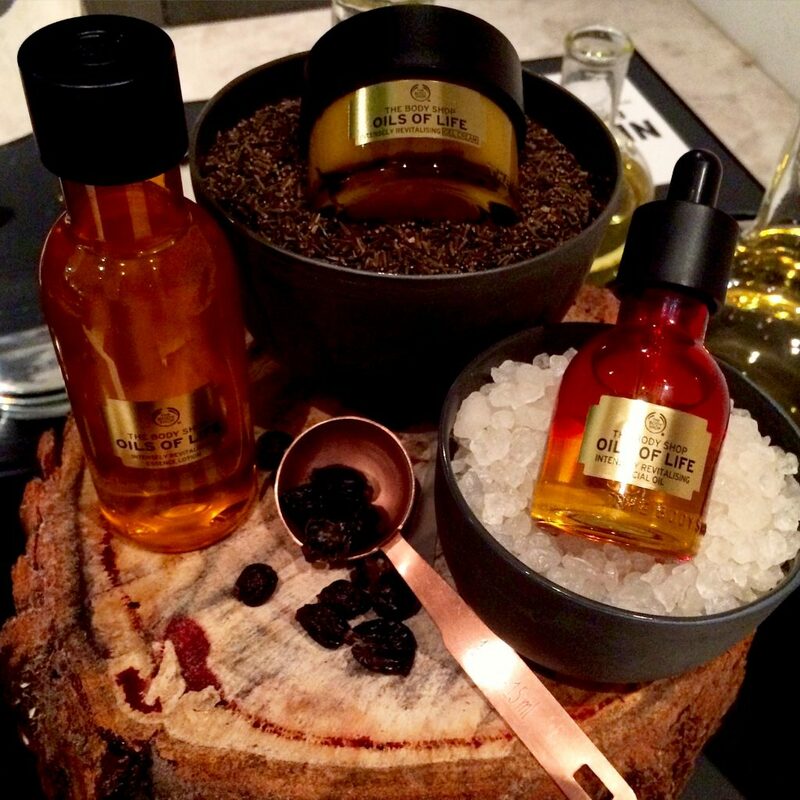 One room featured the the sensual smells of the cold pressed oil formulations from the Oil of Life range. 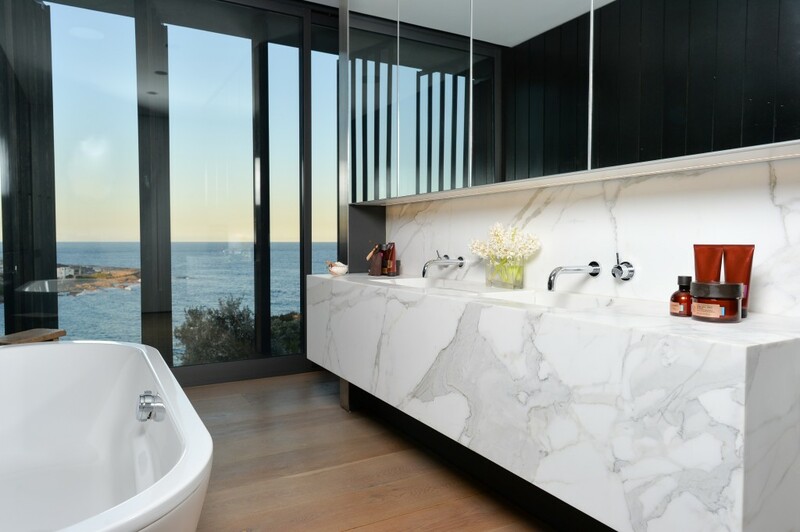 Another room featuring a magnificent bathroom featured the Spa of the World range where guests could try out the range and relax whilst looking out over the Bay. The final experience was the exceptional salute to the Voyage Collection where the scents from the collection were used as inspiration for beautiful cocktails including the Sour Cherry Caipirinha which was an ode to the Japanese Cherry Blossom scent! 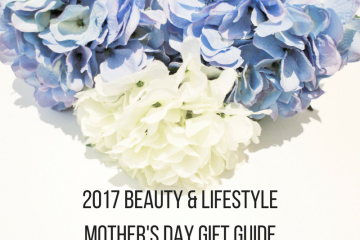 The new ranges are beautiful products and represent the very best that the Body Shop strives for, so head into a shop yourself to check it out.